God, my life is a marketplace. more important to me than You. And I am sorry for pretending that they haven’t. Breathe your Spirit into my life and once again cleanse, clarify, and connect me to You. God, your church is a marketplace, too. more important to us than You. And we are sorry for pretending that they haven’t. Breathe your Spirit into your church and once again cleanse, clarify, and connect us to You. God, the world is a marketplace. more important in the world than You. And we are sorry for pretending that we haven’t. that is revealed in Christ Jesus. Don’t forget, we’ll be talking Star Wars this Sunday and revealing the winner of our best movie villain pole! As we look ahead to King’s Speech, we’ll also be voting on the Best Film Actor! From John Wayne to Tom Hanks, you have to be here to vote! See you then! Hey Campbell! It’s almost time to begin our annual “Campbell at the Movies” series! We’ve got a great slate of movies to discuss this year, beginning with Star Wars Episode IV: A New Hope on Wednesday, July 6th. The movie will begin at 6:00, but feel free to come anytime after 5:30 with a sack supper! To get us in the spirit, we’ll have an opportunity to vote for our favorite movie villain in worship this Sunday. From Darth Vader to Lord Voldemort, Cruella de Vil to the Shark from Jaws, you have to BE HERE to cast your vote! See you Sunday! Hey all! As you’ve hopefully heard, Campbell is holding an Easter Vigil this year. The vigil will begin with a worship service at 11:00 pm on Saturday the 23rd and culminate with the Sunrise worship service on Easter morning at 6:00 am. 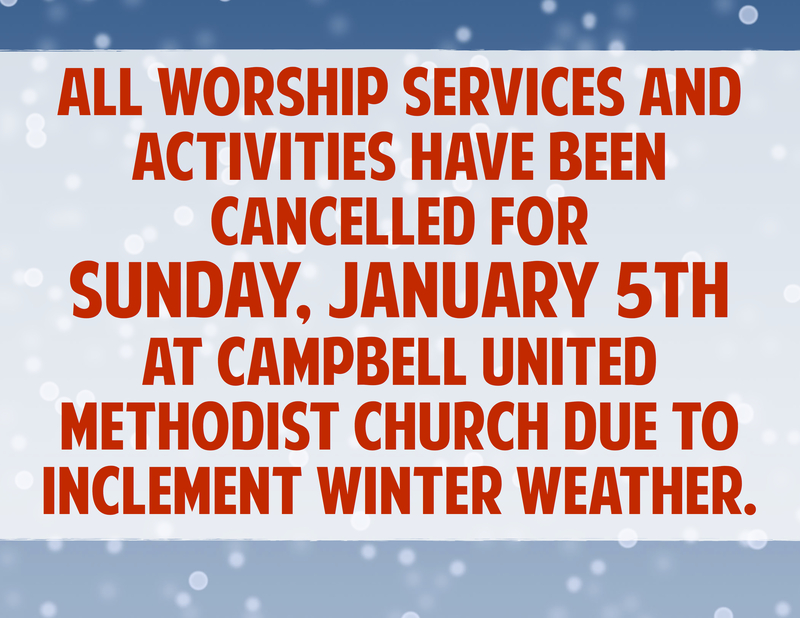 Between both worship services, the sanctuary will be open for prayer. Every forty minutes there will be a scripture reading, a responsive reading, and a song. Between readings, there will be some prayer stations set up in the sanctuary, or you are welcome to simply sit and pray, read, contemplate, or even nap! Water, coffee, and some snacks will be available in the Fellowship Hall as well. Please know that you are welcome to stay all night, or come and go as you please. If you would like to do one of the scripture readings during the vigil, please contact Kris at kkeller@campbellumc.org or 881-2018 (ext. 208). We’ll need eight readers all together. And remember, you’re welcome to simply come for your reading and leave immediately afterwards. Hope you’ll give this a try with us!